Companies are a lot like sports teams. The people who work together do their best work when they’re happy, and when they enjoy the people working around them. It’s not just a matter of the work the individuals can do for the company, but the work the entire company can do when all of the individuals are happy. The best way to optimize production in the workplace is to make sure that all of the employees are content and comfortable. Ideally, all of the employees in the office would get along with each other and the atmosphere would be friendly, but many times, that is not the case. Many times, other actions are required to keep coworkers happy and productive. If your office is beginning to feel like a war zone, or if you’re building a new foundation and want to make sure it’s a sturdy one, try these suggestions for creating a copasetic workplace. People need to feel like they’re appreciated for the work they do. If they feel like they’re just constantly working without anyone recognizing them for it, they get sad, creating an unhappy workplace. Beyond that, having a negative outlook when going into work in the morning makes employees have a negative attitude about their work. This is terrible for production and causes workers to take no pride in their work. By having a good training program, workers can be sure that they are doing things the way they are supposed to be done, and that helps them to feel satisfied with their work. Beyond that, it opens the door for better constructive feedback because employees know exactly what is expected of them. There is a reason you hire the people you do, and hopefully that is because they are intelligent, forward thinking, and they work well with others. When you get the people you’ve hired together to think of new ideas, it should be the most productive activity of the week. It also promotes working as a team in the office, and enforces togetherness. It gives employees a sense of togetherness and camaraderie that can help make them happy after brainstorming and in the long term inside the office. It’s great when your job offers awesome run of the mill benefits, but it’s even better when special things are given in addition. This is also a great chance to promote health throughout the office, as one idea for a unique benefit could be a gym membership. Other ideas may include in-office lunches and monthly spa trips. Another way to help promote happiness and togetherness in the office is to play games on lunch breaks. If you get the whole office together for a game of Apples to Apples during lunch once a week, you’ll create laughter and memories that will create bonds between coworkers. There is always the break room, but that is so frequently a place for people to go and hide when they’re tired of doing their work at their desk. Make a room with some fun beanbag chairs and some simple fun activities where employees can go to take breaks. 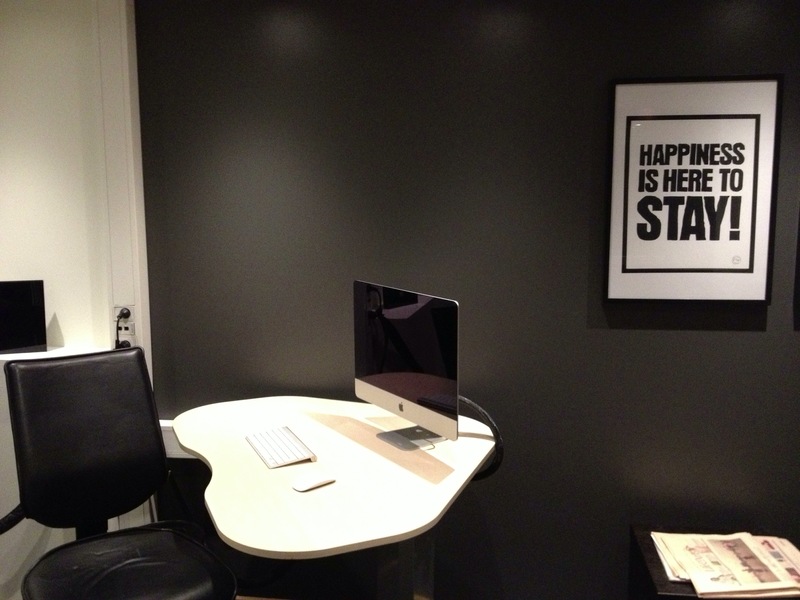 It’s hard to be in a good mood when you’re staring at a typical office layout with white walls and grey cubicles. Spend some money on an interior designer or just spring for some fun decorations to improve everyone’s moods and the view inside the office. Sitting in a desk chair all day is boring and sometimes uncomfortable. It’s way more fun and way comfier to sit in a fun and squishy chair with fluffy pillows and maybe even a warm blanket if it’s a little chilly in the office. Coffee is known for putting people in a better mood in the mornings, and there is nothing better than your office having great coffee on hand for you. Gross coffee is just another thing for employees to complain about. But good coffee is something for them to be grateful for! It is a given that nothing lifts a grumpy employee’s mood like some chocolate. Have sweets once a week in the office for everyone to share. This gives people something to look forward to, and a sugar boost during the week to get them through! This article was written by Kate Stefanski. Kate's no stranger to difficult people in the workplace, but her calm nature and level headedness has always gotten her through the worst of situations. With writing as her stress outlet, Kate is a part-time professional content creator for FindAFax.com. To read more of Kate's work, visit her Google+.